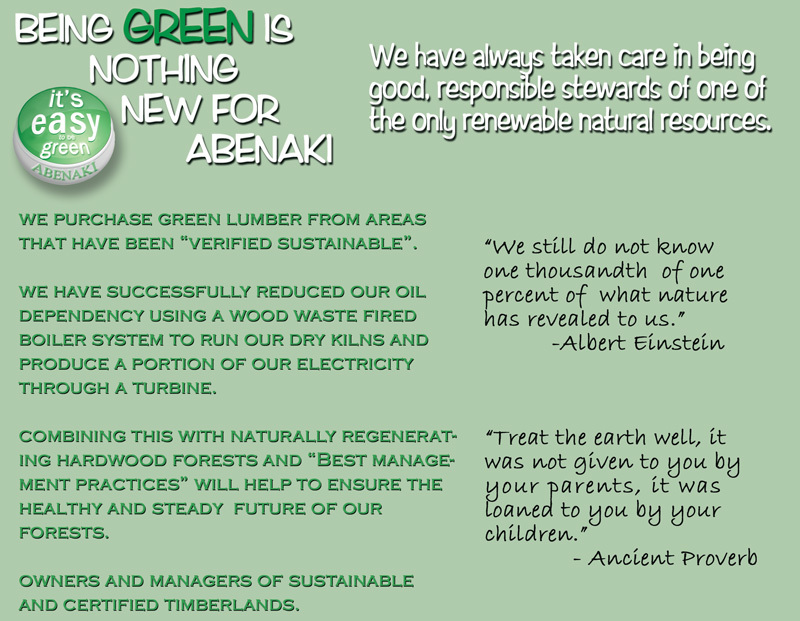 Abenaki was started in the early 80's by Bob and Steve French with a $50,000.00 line of credit from an optimistic banker. Although the father and son team were not always in agreement, we had lots of ideas on how to improve on what had been the family business for four generations, quality hardwood lumber. 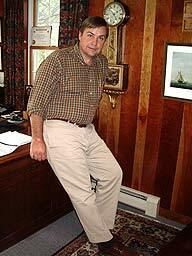 In those days our main asset was Bob's 40 years of experience in the industry. Over the years the company evolved with the input from a number of experienced lumber people, most of whom are permanent members of our team. It was agreed that if we could offer both Appalachian and Northern hardwood from our own location in each region this would separate us from our competition. After a brief stint in the sawmill end of the business and some other experimentation, a divestiture and reorganization in 1996 resulted in a new focus on our core business and the emergence of a team of employee stockholders including Steve French, Jon Mahoney and Greg Devine. Our Epping, New Hampshire yard was built and the Belington, West Virginia yard was completely upgraded. 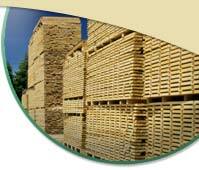 Newman, Sanborn, SII equipment have been a considerable part of our success and we are proud to offer lumber from each locations and represent it as above average in quality and consistency.